Well this map is not completely finished but I wanted to publish my Firestorm interpretation of Super Bridgehead Redux. 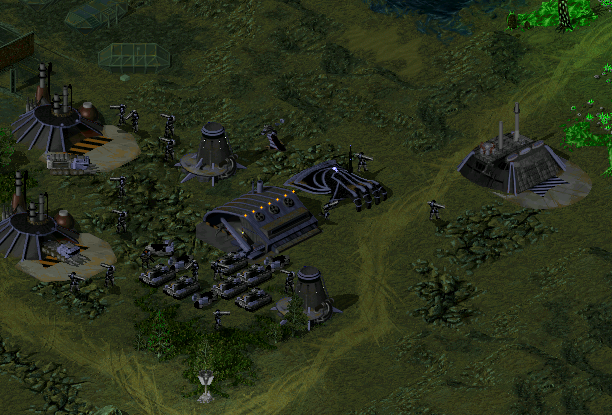 As you can see, the tiberium damaged the environment at the north and is still mutating a vast area of natural forest. The local autonomous government, allied with the GDI, decided to implement walls and protection for the population, build a dam in order to produce local energy, create new small woods and started a colonization program to make the region attractive. As a consequence, the north west access as been cut due to the dam, the south of the region is more populated than before and the central lake is dryer than before. So leave me some suggestions if you want to make some improvements. And you, TS client creators, you can use my map if you want. Nice refreshment of map. 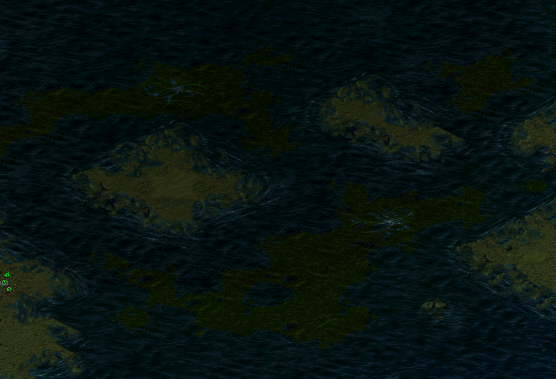 I Like those scattered settlements and villages. Improving the map lighting, non-theater buildings and units appear too bright. If you want to make illumination of those objects more natural, keep sum of R+G+B close to value 3. 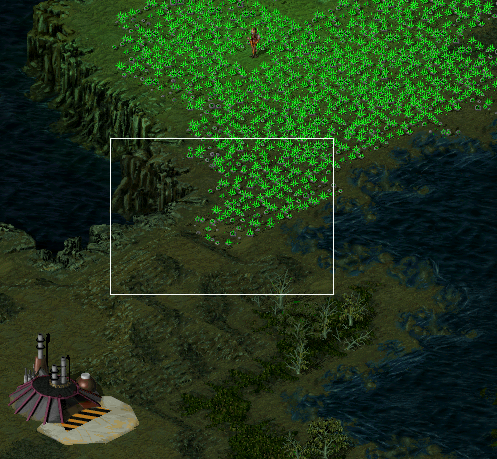 In your map you have values around 0.6 0.8 0.6, so for example changing to 0.9 1.2 0.9 and lowering Ambient value, should give similar lighting and making objects look better. 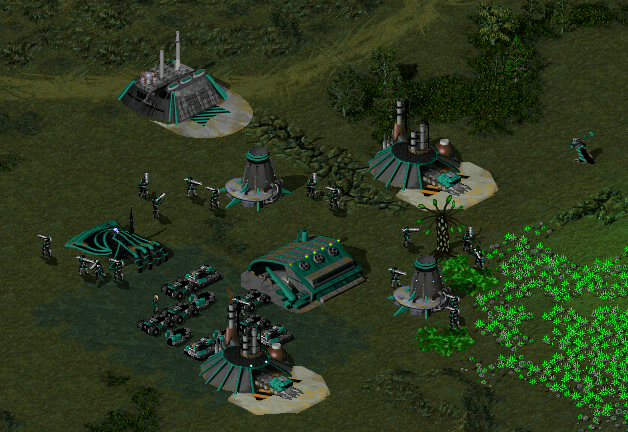 Also I would make some areas more AI-friendly, for example on 5th spawn the north corridor is not wide enough and harvesters/units will jam it.